- Minimum six (6) year working experience in the Oil & Gas industry including Field Engineer work experience in Offshore Project Execution and Workpack preparation. · Daily activities planning, work sequence, monitor work progress of the project and propose the recovery plan if required. · Raise site technical quires and propose the solution. · Prepare red line mark up drawings. · Prepare commissioning check sheet. · Prepare heavy lift check sheet. · Raise additional work or site instruction and estimate manpower and equipments required. · Check project materials delivered on site to ensure they are correct specification and quantities. Highlight additional materials required. · Prepare speeding list; check all spading points before carry out hot work activities. · Prepare and monitor hydro test and reinstatement test packages. · Familiar with platform start up operation. · Prepare nitrogen purging procedures. · Record all punch lists, differed and deleted job cards. 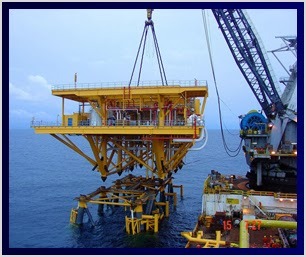 · Prepare platform handover certificate for operations. · Prepare close out report.